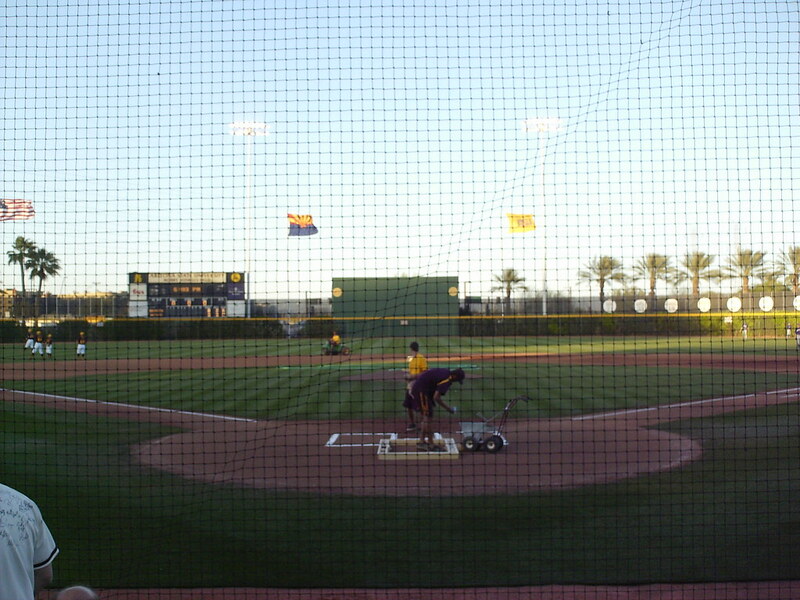 The view from behind home plate at Packard Stadium. 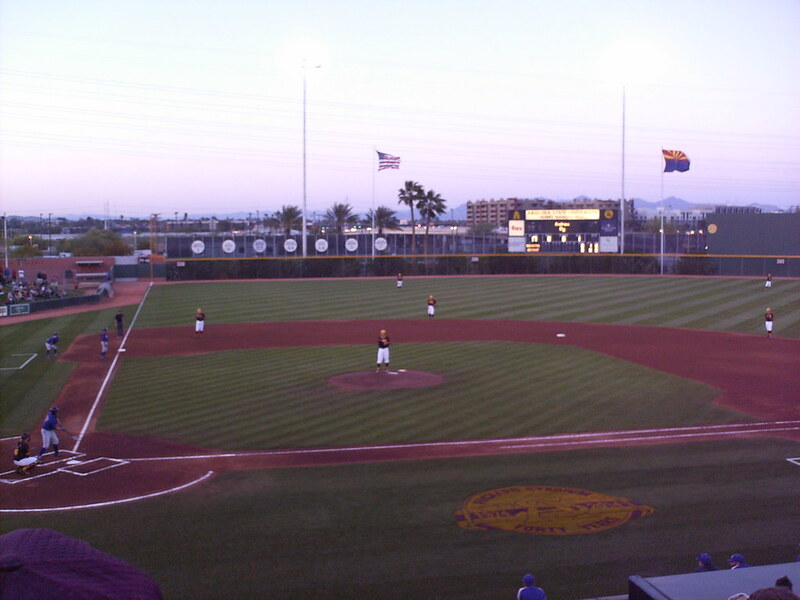 The view from down the first base line, with mountains providing the backdrop in the distance. 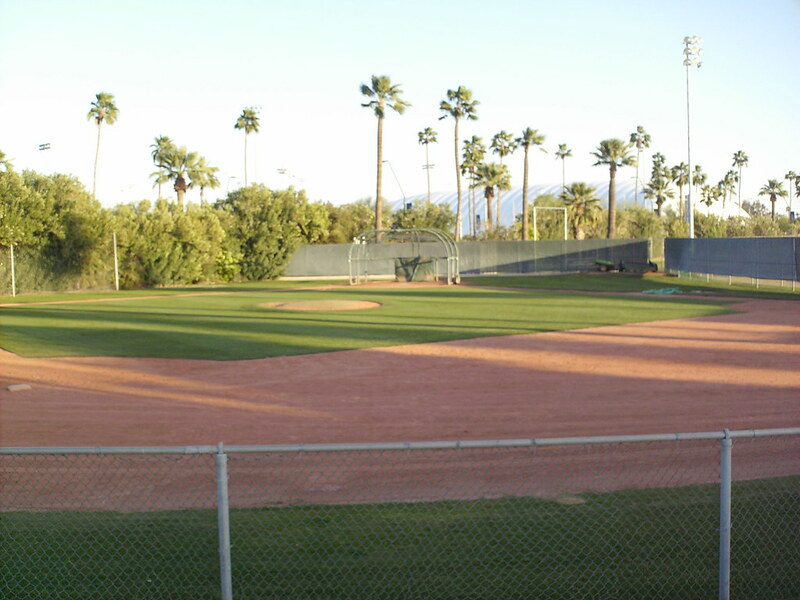 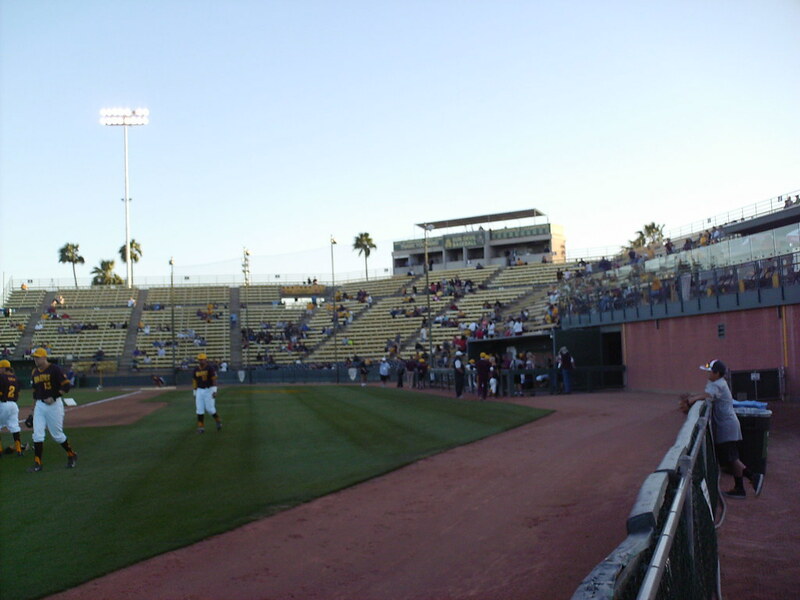 The grandstand at Packard Stadium, as seen from the right field corner. 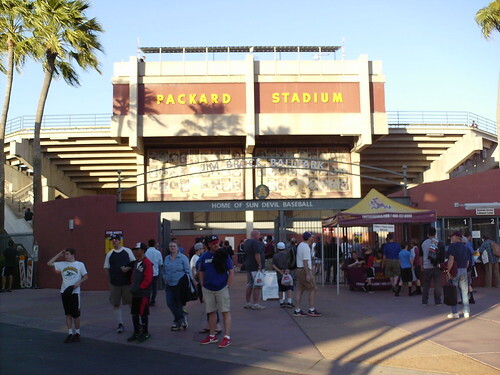 The Sun Devils' conference titles and attendance records hang from the facade of the concrete pressbox atop the grandstand. 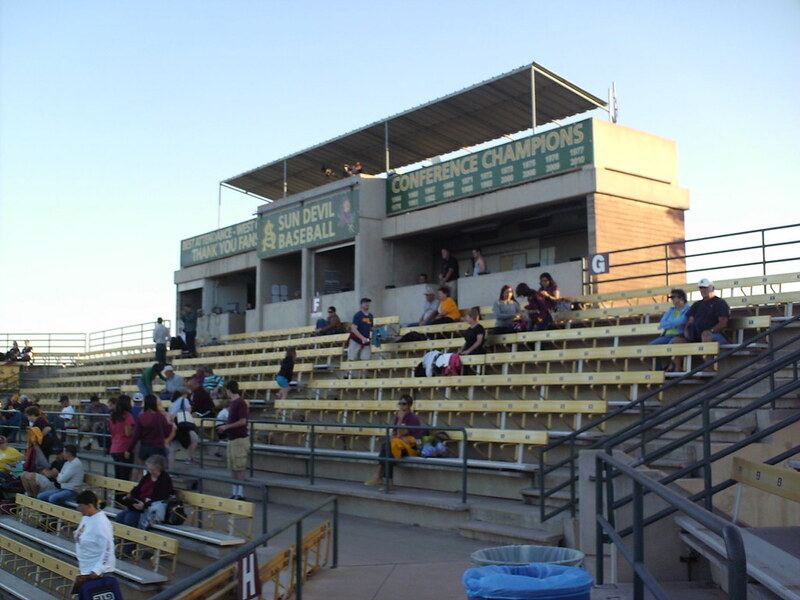 The grandstand features mostly bleacher seating on a steep incline, but includes a few rows of fold-down seating behind home plate. 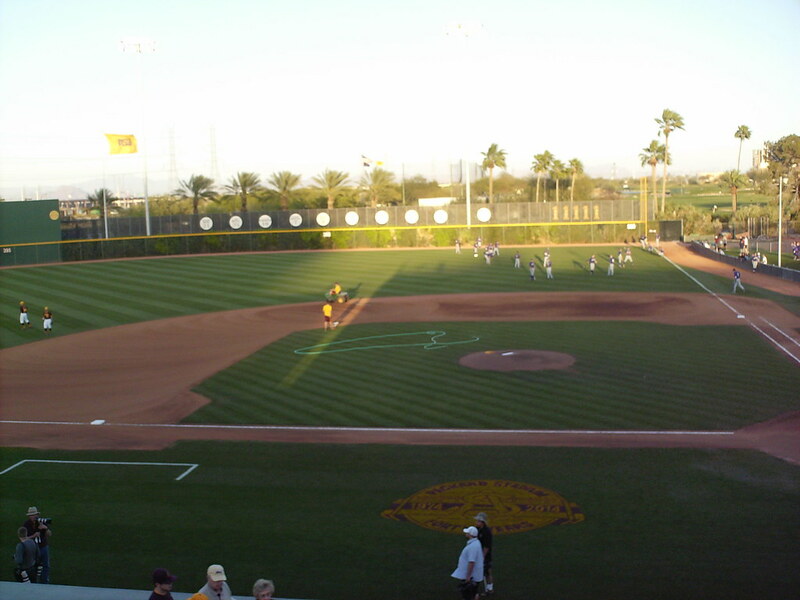 The field features a large amount of foul territory squared off behind home plate. 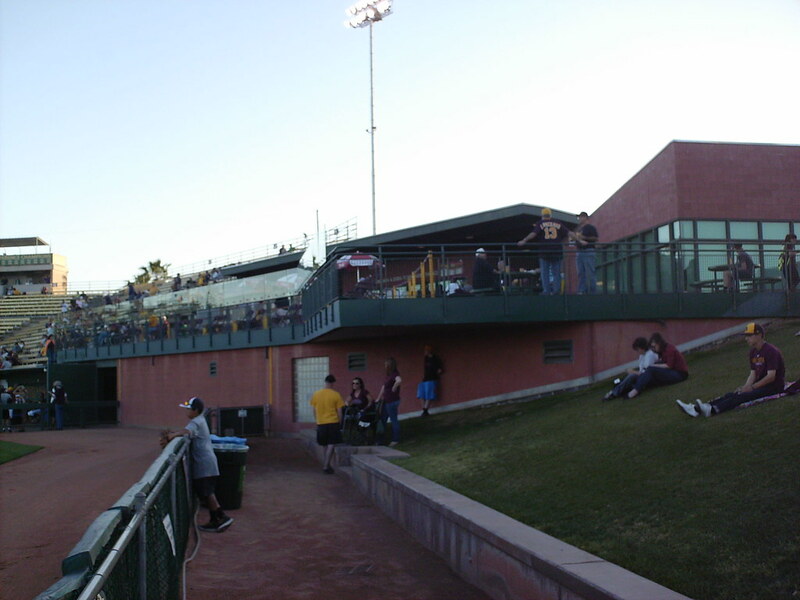 A party deck sits down the third base line, and part of it overhangs the outfield berm, providing shade for fans below. 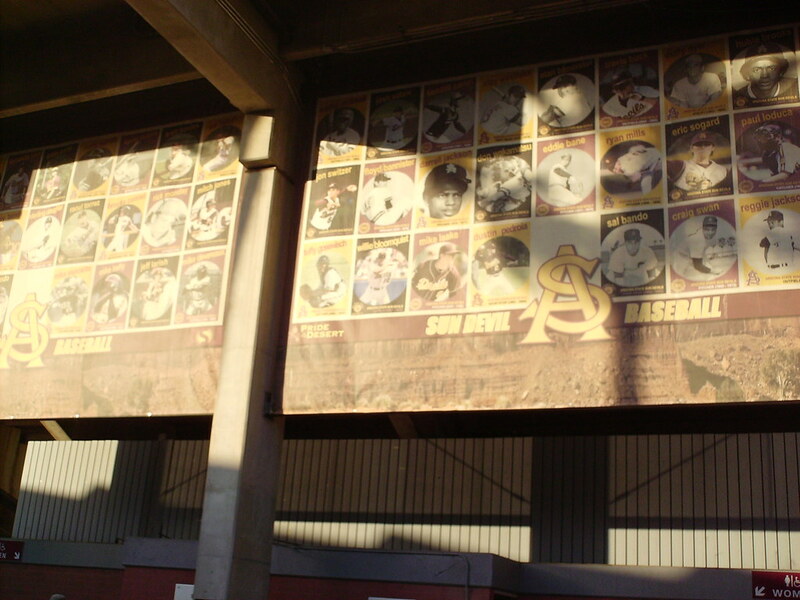 A wall of fame on the concourse celebrates former Sun Devil players who have made it to the major leagues. 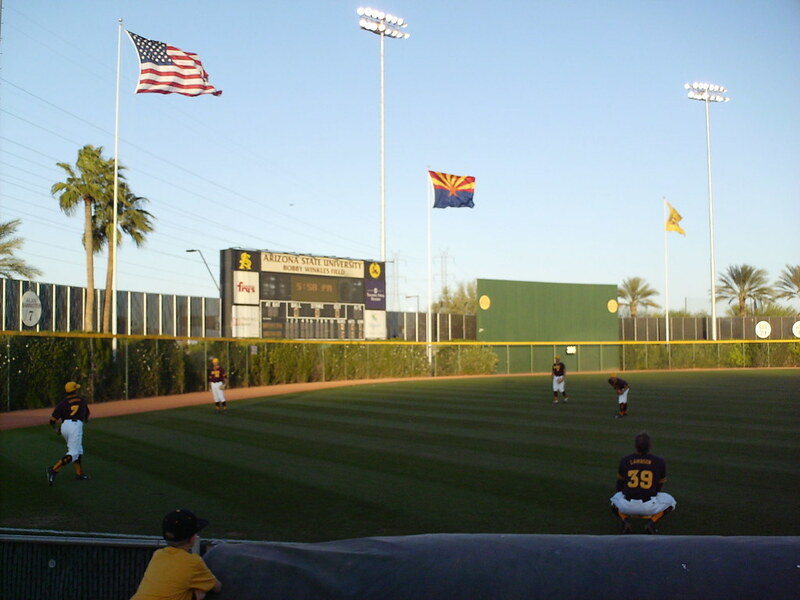 Sun Devil retired numbers hang above the ivy covered right field wall, and "1" shaped banners in the right field corner celebrate College World Series titles. 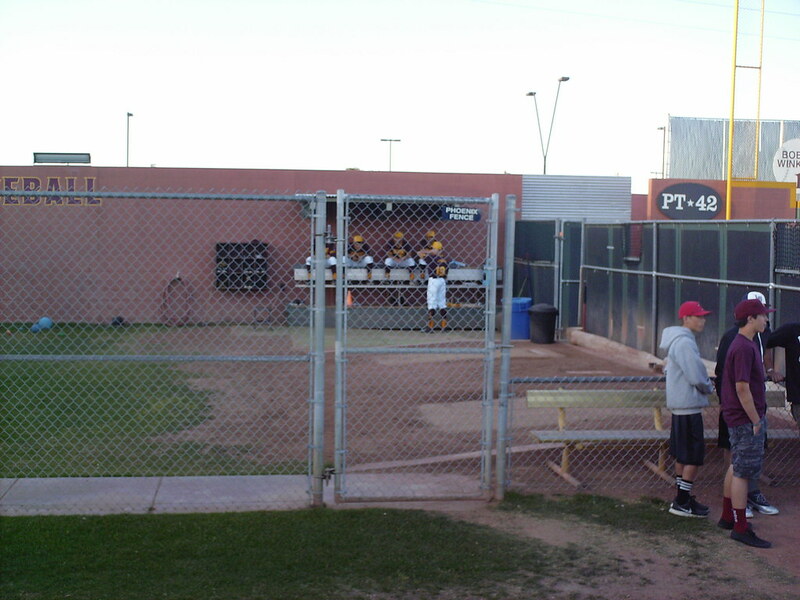 The Arizona State bullpen, located near the berm in the left field corner. 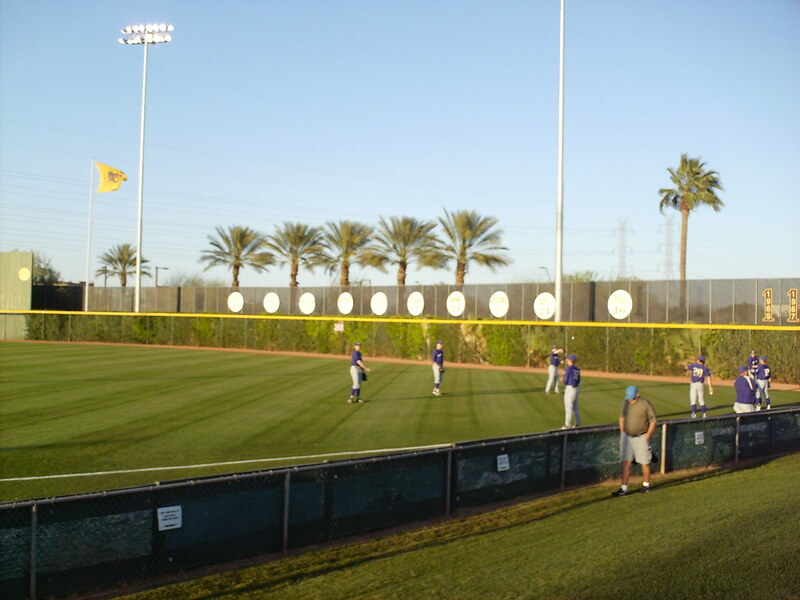 A practice infield sits behind the right field wall. 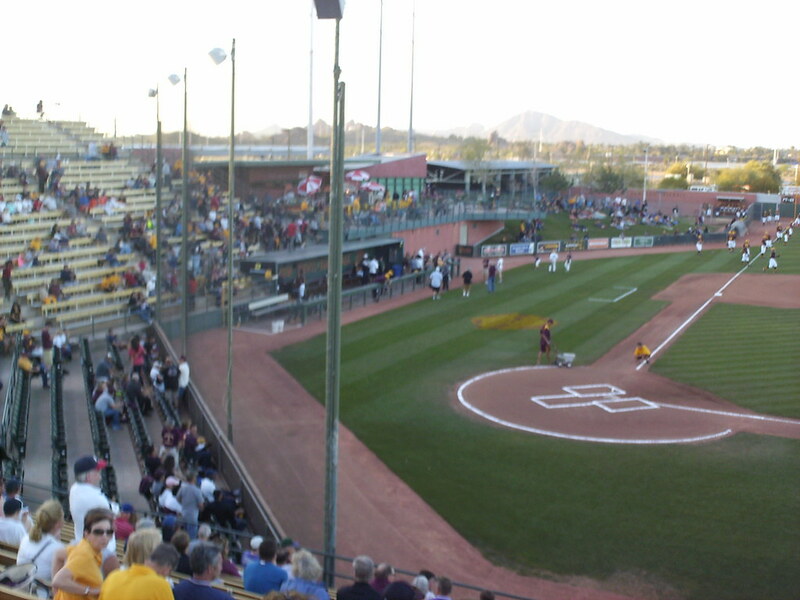 The scoreboard and outfield wall at Packard Stadium. 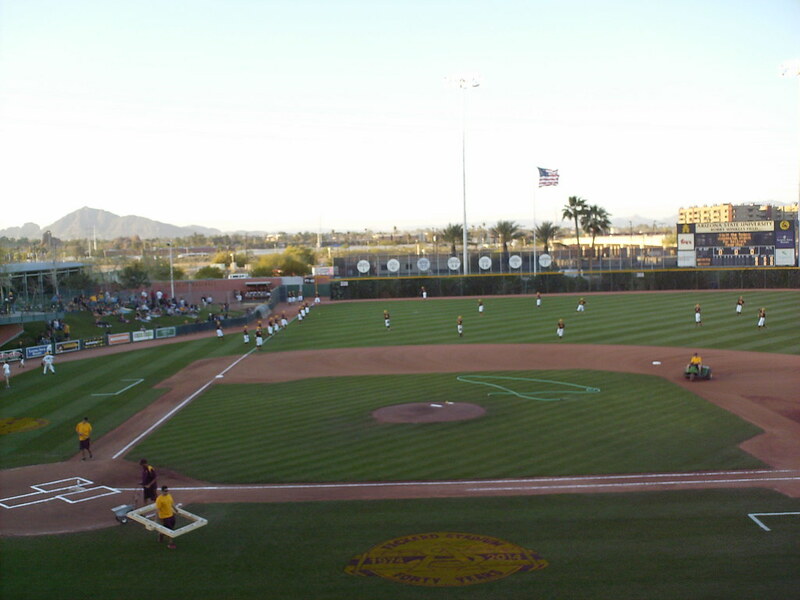 The Arizona State Sun Devils on the field during an NCAA game at Packard Stadium.